CT Hackerspace isn’t just a cool place to hang out or make stuff. It can also help you, your group or your business. That’s right, we have a lot of services available. CT Hackerspace is run by volunteers and all proceeds go to making the ‘space better. Host your Club’s Meetings here! If your cool Club or Group needs a place to meet, CT Hackerspace is the solution. Are cafes starting to give you the evil eye, or your significant other saying “Again?”? For just use of the Multi-Purpose Area, prices start at about $15/hour. WiFi, tables, chairs and electricity are included. If tools or equipment are needed, those can be negotiated. All group types are welcome. Your meetings also reach several hundreds of our Meetup members. Our facility is great for learning. Come teach your class at CT Hackerspace. As we know that every class is different in size, needs, and scale, we will work with you on on finding a reasonable and agreeable rate that you not find elsewhere. This sliding scale is a win-win for everyone. The large, dynamic flexible space can be set up (or transfigured on the fly) to a lecture setting, a class setting, or a work groups setting in just a few minutes. 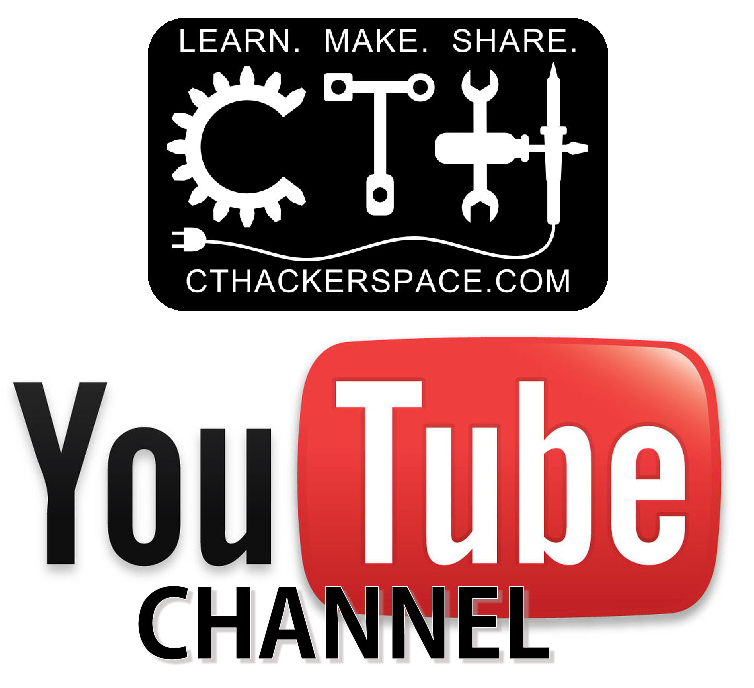 Your class will be promoted through all of CT Hackerspace’s marketing channels, reaching hundreds online. In addition, your class will be reaching several hundreds more of our Meetup members, who are always eager to know what’s new is happening at our space. This engaged audience associated with our facility can be a big deal towards growing your income. If your newly formed business is in need of a place to meet and work, then this is a great opportunity for you! Our facility has tools and equipment that can help get your company off the ground. Rates are negotiable based on your specific requirements so please contact us to discuss it. You just have to have that item you found on Thingiverse, but alas, you don’t have a 3D Printer. That’s a total bummer, but CT Hackerspace can help! We have a Lulzbot Mini that can print an object up to 6 x 6 x 6 inches. Several colors are available. Part cost is determined by the amount of plastic used so contact us to get the ball rolling. We have a bunch of tools available. If you need something turned, milled, pressed, cut, routed, shaped, sheared, drilled or something else, we can help you in exchange for a small monetary donation. Save yourself the head ache and hassle of a job shop and let us help you, and you help our all volunteer organization in return. Just show up on an Open Space night or contact us to schedule coming in.